From: LP Hong, Wat Petchburi Surin province. 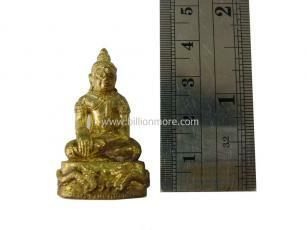 Purpose for making: LP Hong has been made this amulet that require donation of money for developing a temple. Ceremony: LP Hong strong bless this batch. 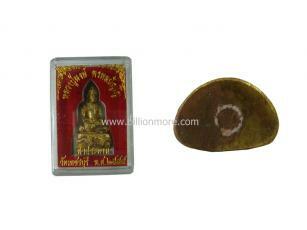 Power of this amulet: This amulet can bring wealth and good health for owner’s life. Presend: There are 2 dragons image at the front of Buddha base. When you shake this Buddha amulet you can hear sound of this amulet as "gring-gring". 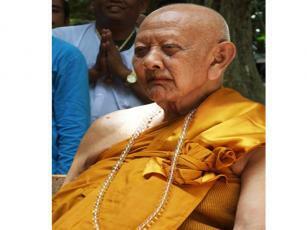 Luang Pu Hong Phromapunyo of Wat Phetchaburi, Surin province is now 86 year old. He is one of the top guru monk of this present in Thailand. He has been an expert of concentration of mindfulness in Buddhism way. 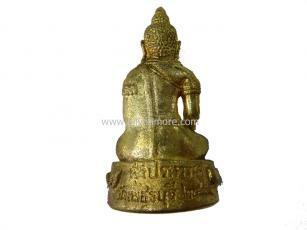 He whet or “Tudong” that means monk’s journey to border of Thailand to gather knowledge as well as build up good/ Karma. 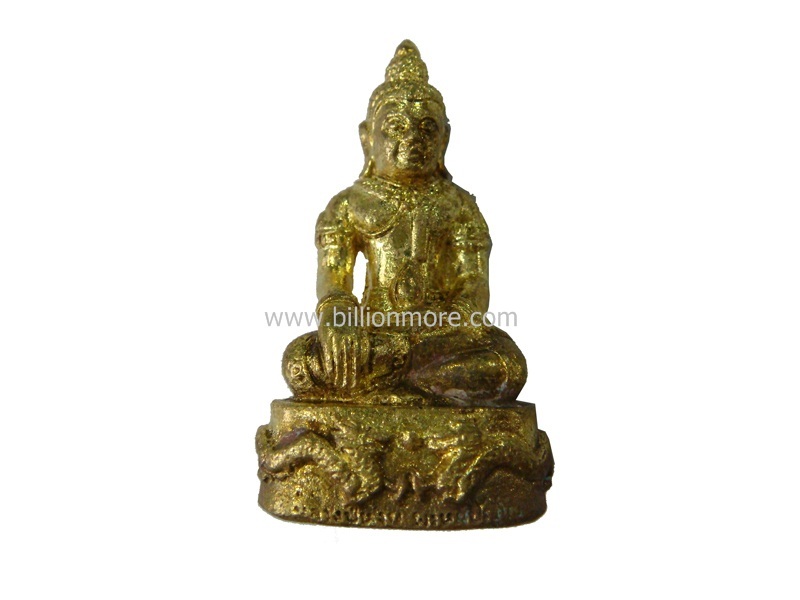 Until he met many guru master of Cambodia who were knowledge of magic to exorcise and magic spell for protecting from danger, evil and any bad things. Then LP Hong commenced studies in Visha (magic) from them and lived there more than 30 year. LP Hong is well-know among amulets collectors at present-time. It was said that unusual phenomena like lightning and thunderstorms have also occurred during consecration ceremonies held by LP Hong in the past. What is most amazing is that not a single candle or incense stick was extinguished during the ceremonies, despite heavy thunderstorm. Devas and holy beings have also been reportedly sighted at the ceremonies. Such can be seen efficaciousness of the power and Dhamma practice of LP Hong.